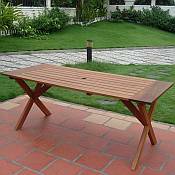 The Omaha Outdoor Rectangle Table is the ideal way to complete your home decor. 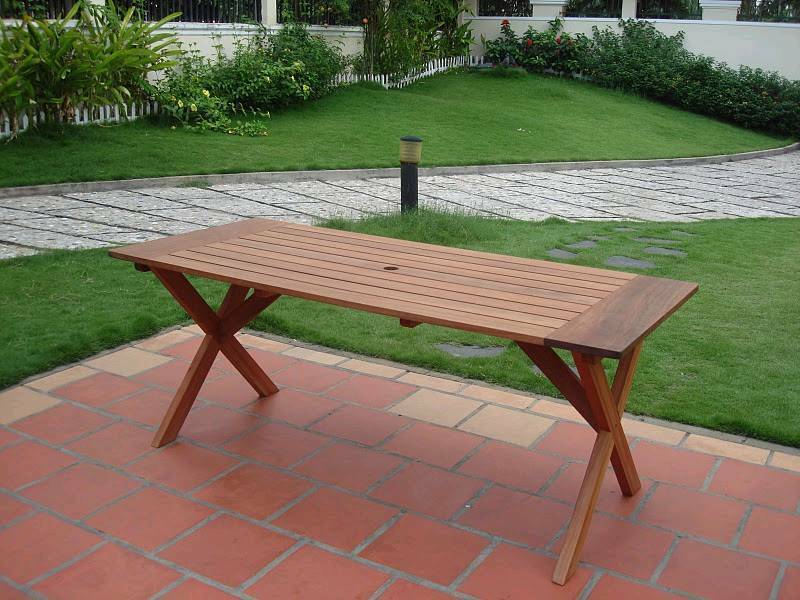 The table has a slatted top to prevent water from pooling in the center and there is an umbrella hole in the middle that allow you to have shade when you need it. You can enjoy reading the morning newspaper or watching the evening sun set with the fashionable eucalyptus outdoor furniture. Table, Chairs and Benches may be purchased as a set or individually mixed and matched.